Many people believe that in rear-end collisions, the driver in the back is always at fault for the accident. Fault, liability, and the rest of the legal issues surrounding car accidents are mostly a mystery to many people. However, there is one situation that many people think they have figured out: rear-end collisions. Many believe that the driver in the back is always at fault when a rear collision takes place. If you talk to a trained professional, though, you will find that this is not always the case. Here’s why. As is often the case with misinformation, this belief is based on a kernel of truth. The truth is that the driver in the back is found at fault most of the time. However, most of the time is not all the time. Liability in these types of accidents is not automatic and may take careful analysis to determine. When a driver is found at fault, it is usually due to negligence. This is a blanket term that describes any behavior that does not meet a reasonable level of responsibility. The way legal professionals assess negligence is they ask the following questions: “Was the conduct of the driver below the conduct of an average, attentive driver?” If the answer is yes, that driver could be found negligent. Some typical examples include not paying attention, taking too long to stop, losing control of the vehicle, and failing to keep a safe following distance. Comparative – This system assigns a percentage of fault to each driver in the accident. 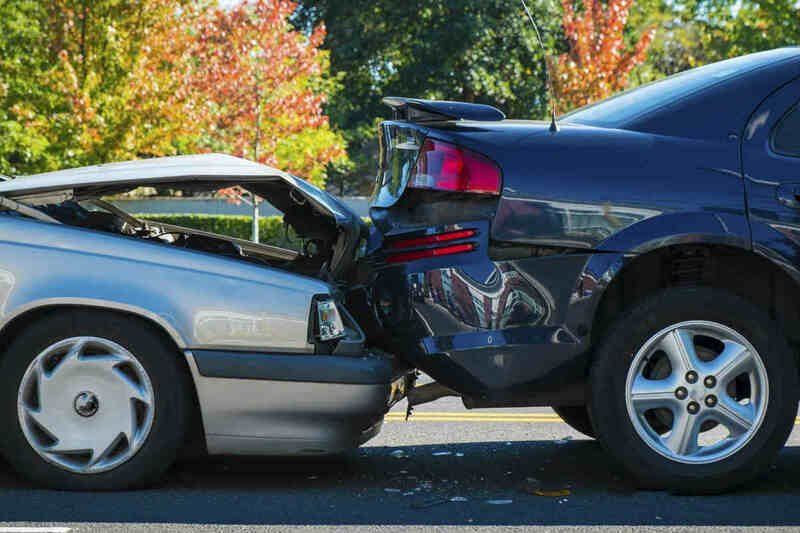 That means that in the case of a rear-end collision, you can reduce your liability by proving that the other driver deserves some level of fault. Contributory – In this system, if one driver proves the other driver was at all negligent, the negligent driver cannot receive any compensation. Missouri uses the comparative system, which is generally considered more friendly in many ways to drivers. The front car can be found partially or entirely at fault when they are driving in a negligent manner. This can be due to stopping suddenly, reversing when they should not, dysfunctional brake lights, driving with a flat tire, driving while intoxicated, and a variety of other unsafe actions. If you happen to rear-end somebody else, there is a chance that you will not be found at fault. If you can effectively argue your case, you may be able to prove that the other driver is liable. The other side of the coin is that if you do get rear-ended, you are not entirely safe. No matter which side you are on in the accident, it is a good idea to speak with a St. Louis car accident lawyer for help determining what you are legally entitled to.